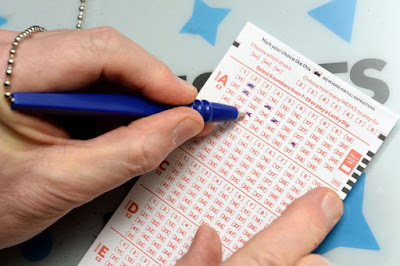 As the hunt in the UK for the owner of the unclaimed £33million Lotto jackpot intensified, a woman has reportedly come forward claiming to have the winning ticket. But, she claims, there is just one small problem – it has been through the washing machine. According to The Times, the blonde-haired woman presented the tattered bit of paper to a newsagent in Worcester on Friday. 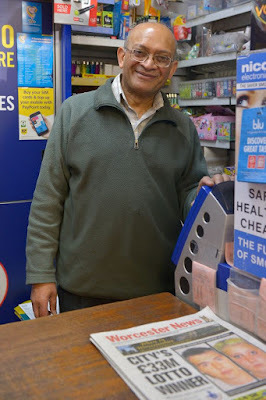 Natu Patel, who runs Ambleside News in Warndon on the outskirts of the city, was Friday revealed to have sold the jackpot ticket. The 64-year-old was told by National Lottery bosses that the winning ticket was bought in the area. He said that it would be “wonderful” if it was bought in his shop – though he won’t know if it is unless he scans it. Therein, according to The Times, lies the problem – the all-important date and barcode have been scrubbed off the woman’s ticket. The woman, who claims to have found the ticket in the pocket of a pair of jeans that had been in the wash, told The Times: “I’ve been a nervous wreck. “I haven’t slept all night. Since I found it in my jeans pocket, my daughter and I have been drying it out with the hairdryer. “You can see 2016 but not the date. This is one of only two shops I buy my tickets, and I remember coming in here the day, or the day before [the draw], because I had to buy something else. There’s no way to confirm the woman’s claims though. The winning ticket holder has until Thursday July 7th to claim the cash or it will go to National Lottery projects.